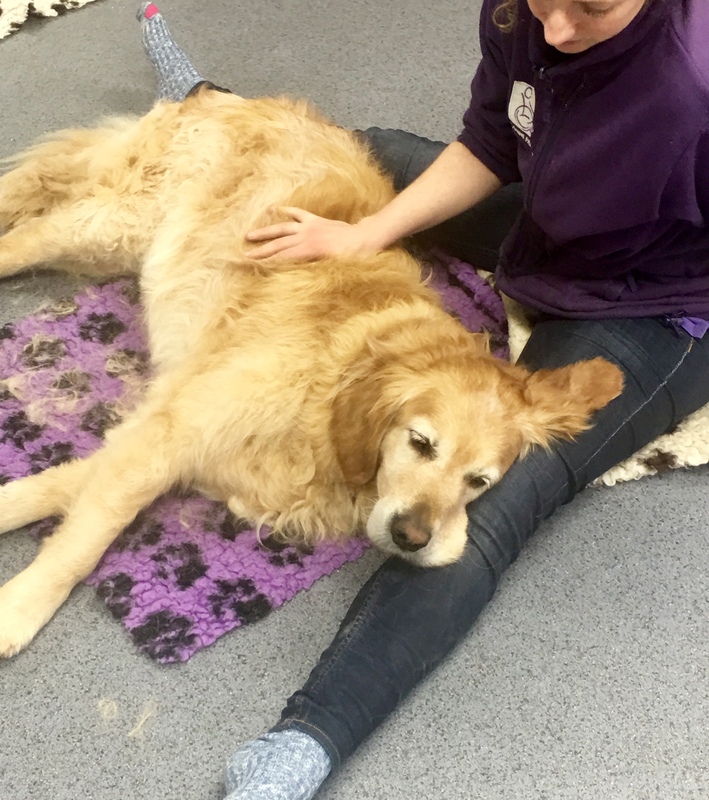 We were invited by Canine Partners to deliver a special canine massage workshop with the specific aim of promoting relaxation. The UK charity train assistance dogs to meet the needs of individuals with physical disabilities. Their dogs will need some help switching off during their downtime and it was hoped that our massage routine would do just that. We had 12 amazing dogs in the class – each as fit as fit can be. No excess weight on these dogs. A room full of black labs, yellow labs, and more. Initially they were all excited expecting a training session – not realising that it was them who were going to be treated. Look at the pictures – they loved it. And the staff were amazing too. So much intention going on you could have heard a pin drop. Sleepy relaxed chilled dogs by the end. Aim achieved. 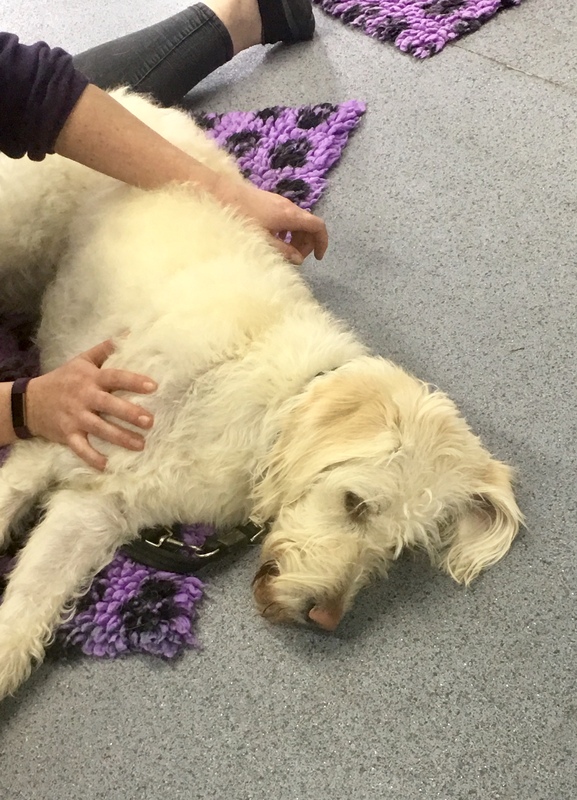 This entry was posted in acheypaw, achy paws, AchyPaw, achypaw myotherapy, Brighton Dog Massage, canine myotherapy, canine myotherapy, dog myotherapy, achypaw myotherapy, myotherapy, achy paws, classes, conditioning, Dog, Dog massage, dog massage classes, dog myotherapy, massage benefits, myofascial release, myotherapy, not just arthritis, south coast dog massage, training, well dogs and tagged acheypaw, achy paws, achypaw, achypaw myotherapy, achypaws, Canine massage, canine myotherapy, dog massage classes, dog massage courses, south coast dog massage, therapeutic massage. Bookmark the permalink.